UPDATE 6/28/18: One can always remind one’s well-housed Progressive friends how many whole families they could keep together in their spare bedrooms and extra homes. But then, it’s all talk, isn’t it? This time it’s yet another instance of the Left’s use of a phony Victim Group to shill its moral superiority and entitlement to political power. This time it’s The Children, hardly a new demographic to exploit but tough to beat when it comes to evoking the public’s sympathy. Ho Hum, just another fake crisis for the present week now known waggishly as “Kidtrina,” hopefully laid at the doorstep of whatever Republican(s) is in power. 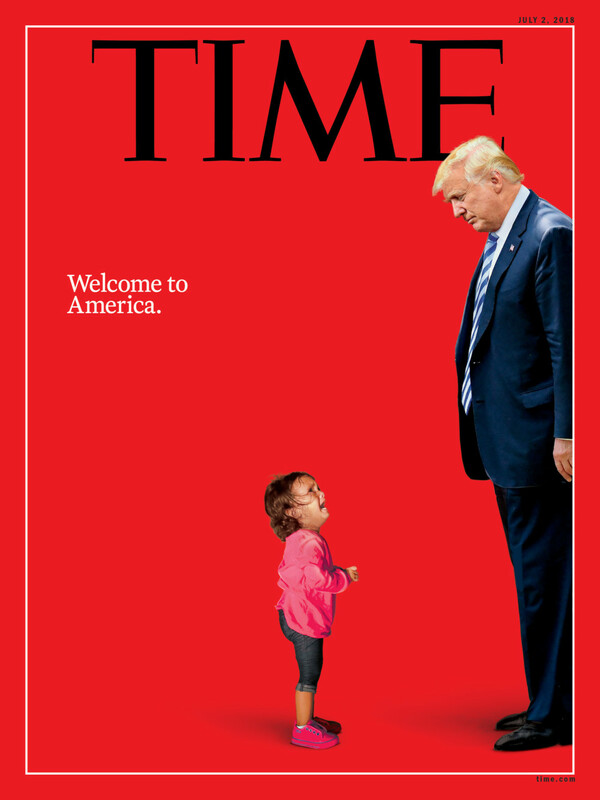 As usual, the tears for The Kids are highly selective, only brought out at this juncture to discredit Trump’s enforcement of immigration laws…and, in their dreams, every other political sea change his no-nonsense approach and policy threatens to effect. Helping the Leftist scoundrels along on this particular Open Borders venture are virtually every prominent Republican figurehead of the pre-Trump era: the Bushes, Romney, McCain, George Will. Has it ever been clearer that voters of a Conservative bent have not really had a choice at the ballot box since Ronald Reagan? 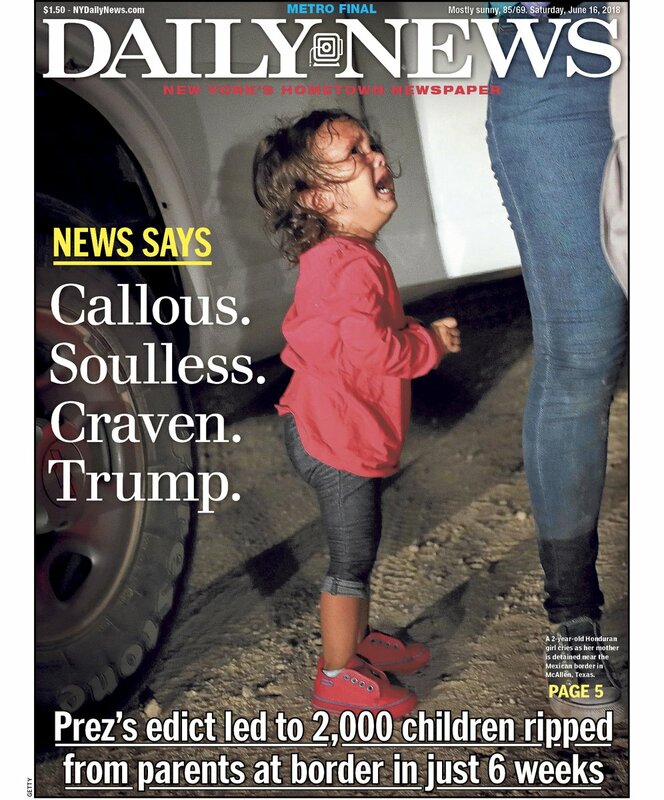 For the Left, crying, terrified children “ripped” from their parents’ arms are a relative matter. When it’s the various Dem cronies touting tough immigration standards, it’s worthy of applause. When it was Bill Clinton’s administration mollifying one of the world’s worst, America-hating tyrants, condemning a child to brainwashed slavery was a great trade-off. Hey, the kid belongs with his dad! Dems have a heartwarming history of loving The Children. Where were the tears from the Hollywood crowd and the wide assortment of other fake humanitarians when Elian Gonzalez was literally kidnapped by the Clinton/Reno jackboots to make nice with Castro? Here was a genuine political refugee fleeing real tyranny & seeking asylum, a child whose mother literally died in the process of giving her son a free life, seemingly safe with his American relatives, tossed back like raw meat to quiet Cuba’s vicious version of Stalin. And where are the tears for those children permanently separated from their mothers and life itself by illegals? Can we count on at least a little cry of outrage from those rich Hollywood Luvvies like Robert De Niro or Peter Fonda, screaming insanely for Open Borders! and No guns! , then beating a quick retreat behind the high walls of their estates and heavily secured penthouses (complete with professional armed details)? A better bet would be Rosie O’Donnell taking the veil. 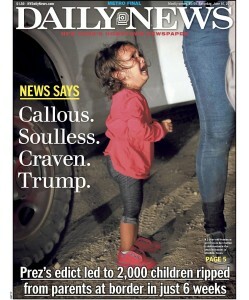 Last week’s viral photo of a crying child, supposedly the tear-jerking face of Trumpian terror and cruelty, has proven to be a fake, as fake as the deep concern the Left continues to claim for all The Downtrodden, albeit only those specifically exploitable “victims” among the various races, genders and social classes who can be programmed en masse to Vote Dem For Life. A lie as is the whole fake story of “concentration camps” for children. But why bother with details? Another nice touch, equally fake. This latest agitprop episode, helped along by the Useful Idiots of Hollywood and the DC Establishment, should be understood as just another attempt by the Left and their allies on the Never Trump Right to destroy Trump and reclaim their exalted, righteous place on the throne. Right now, exploiting The Children provides their best bet for Restoration. Consider the Obamas and their handlers, looking far ahead, addressing themselves to little else these days but The Young. The fizzling Children’s Crusade against the Second Amendment was The Story with legs only a short while back, just another example of ginning up sympathy (and votes) for the Progressive Dream. What could be a more appealing vision of the future than a world of (in the chilling words of one humble ex-POTUS) “a million young Barack Obamas?” Now there’s an Orwellian vision worthy of Hitler or Stalin. And where are the tears for the destroyed families and genuinely victimized children of the crime-ridden, drug-infested Inner Cities, each and every one the proud showcase of humane Democratic policy for the last 50 years? What’ll it be next time…when “there they go again?” What’ll it be when sane, productive, decent Americans are compelled to sigh again and restate the obvious: inflammatory ideas like the individual’s right to life, liberty and the pursuit of happiness, low taxes, a free market bustling with employment opportunities, border control, law enforcement, protecting the innocent, punishing the guilty, bringing an end to generational poverty, celebrating the individual, Making America Great Again? 2 Responses to The Left and The Children: trotting out another Victim Group…and political pawn.